Y-100’s presentation of the PBR is in action again at Cowboys Dancehall this Saturday night with two sections: 8:30 p.m. & 10:30 p.m. If you’ve never made it to Cowboys Dancehall for the bull riding, you are missing out! 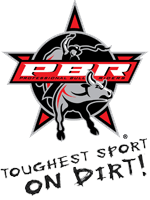 Live bull riding–INDOORS–and did I mention it’s air conditioned! With plenty of opportunities for boot scootin’ and cold beverages. The bull riding is family friendly as well-children are allowed in the arena grandstands for the bull riding. Riders Scheduled to appear: Caleb Sanderson, Cody Tyler White, Lachlan Richardson, Ryan McConnel. Bucking bulls will be provided by: H & D Bucking Bulls, L & G Cattle Company, Currey Creek Bucking Bulls, Covenant Rodeo Livestock and D & T Bar Ranch.